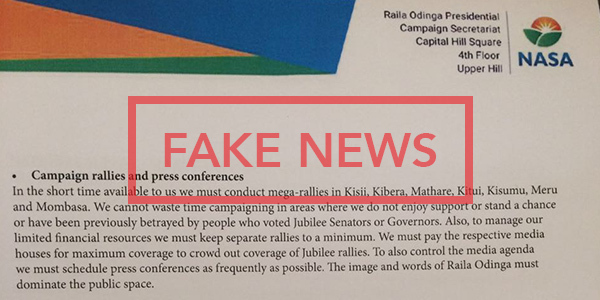 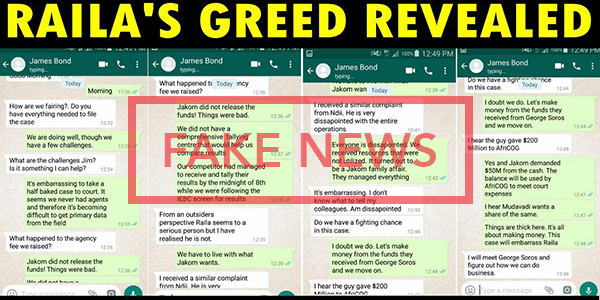 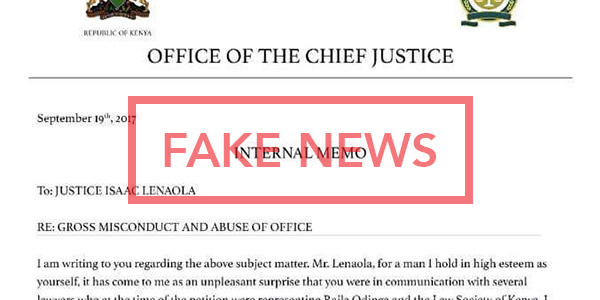 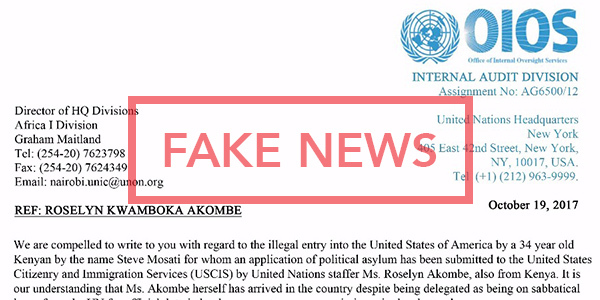 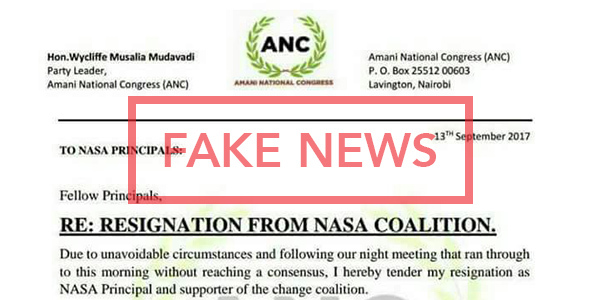 Fake letter allegedly from NASA strategist David Ndii on way forward. 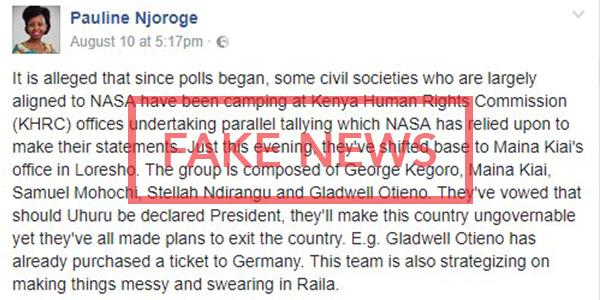 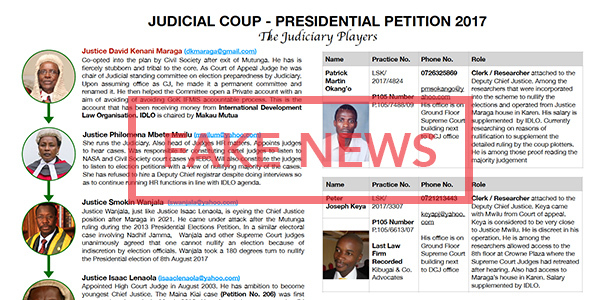 A fake story on vote tallying by CSOs. 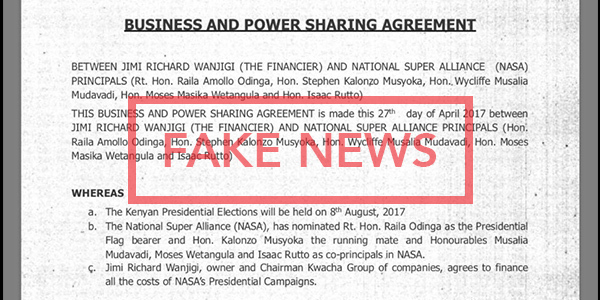 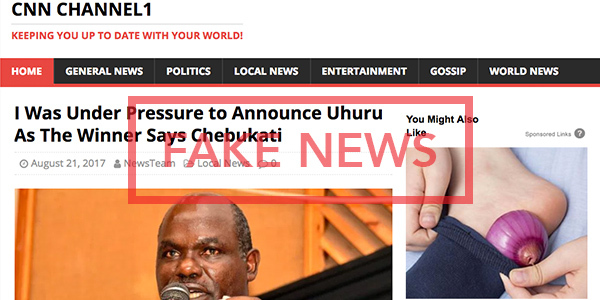 A fake business and power sharing agreement between Jimi Wanjigi and NASA.